The 2014 H+P race season has officially begun! We had a great time kicking things off at this years' edition of the Re-Fridgee-8er. 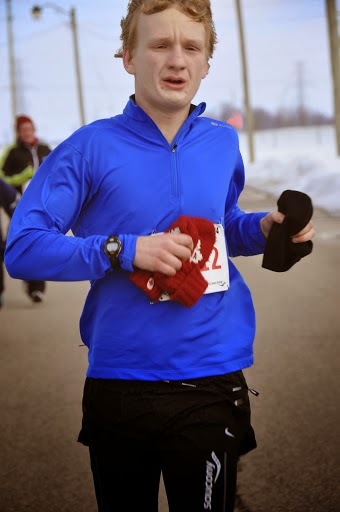 Before we get started, a huge thanks goes out to Julie Schmidt of the Waterloo Running Series for the photography! 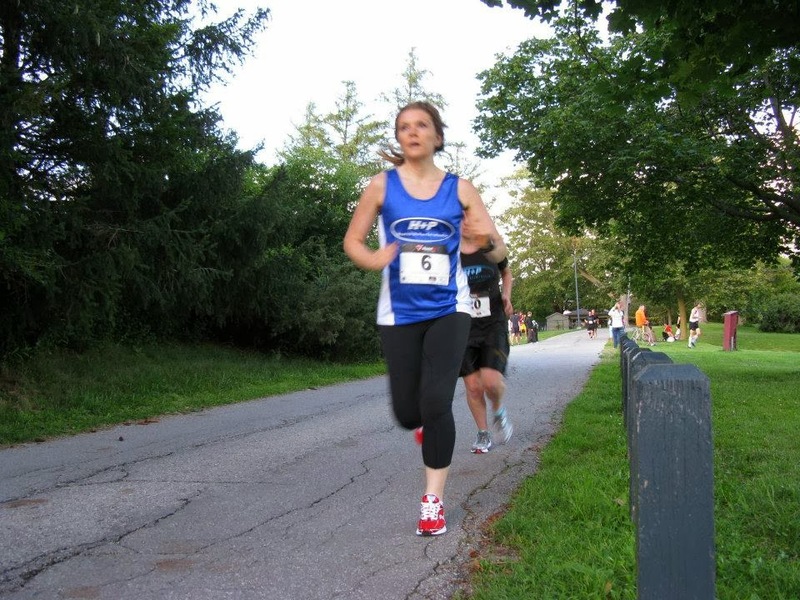 In the 8K, our top 5 athletes averaged under 30 minutes, an average pace of about 3:43mins/K. In the 8M, our top 5 athletes averaged just over 51 minutes, which is about 4:00mins/K. 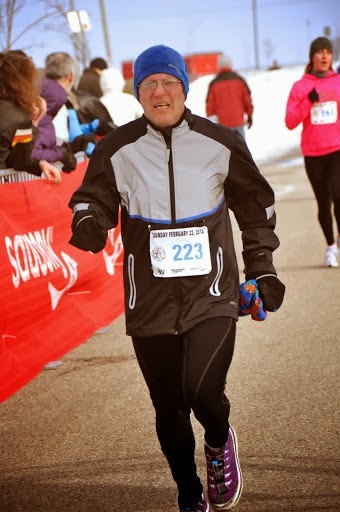 A huge pat on the back goes out to Dave Rutherford, who surprised everybody when he placed 2nd on the 8K team- not bad for 50 years old! Also, a massive congrats goes out to coach Gill who, out of the 10 athletes who scored points for the teams, was the only female to do so! Luke Ehgoetz crushed the course, coming in just behind Ahmed for 3rd overall, and winning the masters title! AG and placing 5th OA! Nick Burt, like Ahmed, also impressed in his H+P debut. He not only placed 7th OA, but also won his AG! Gillian Willard was next in line from the team. She had a huge PB, placing her 2nd overall for females (only beat by elite Canadian Marathoner Krista Duchene), and winning her AG! Emily Hunter had a breakthrough performance, coming in about 5 minutes faster than anticipated, and placed 2nd in her AG! 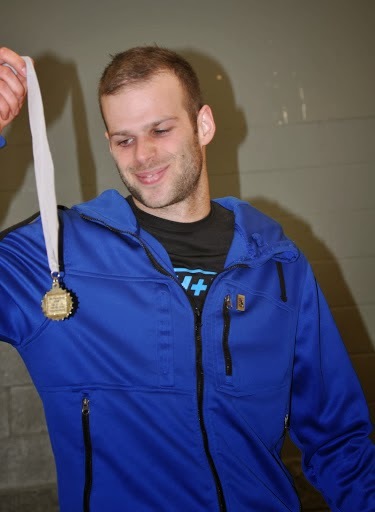 Dragan Ball-Z continues to improve, crushing his goal of breaking 5mins/K, as he placed 4th in his AG. 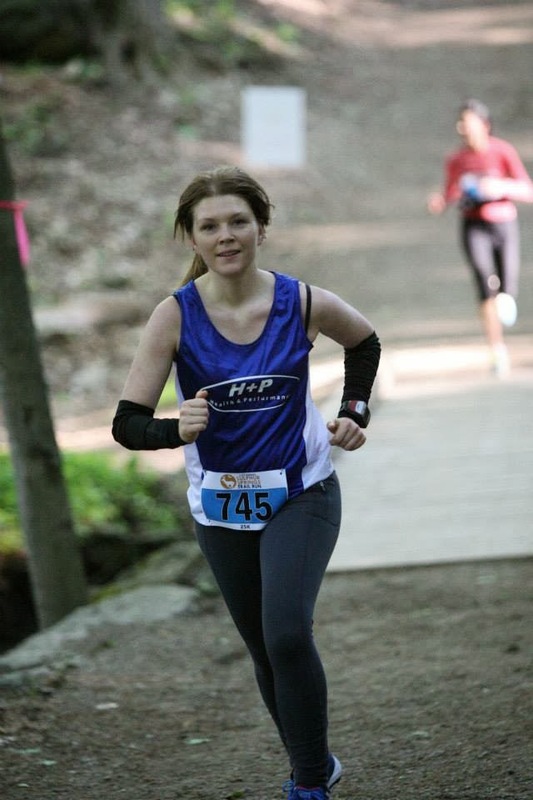 Heidi also had a great race, beating her time from last year and winning her category! Oscar had an amazing H+P and racing debut-coming in significantly ahead of schedule! Coach Sean came in 2nd place with a time of 27:54. Dave "the ageless wonder" Rutherford destroyed the course. 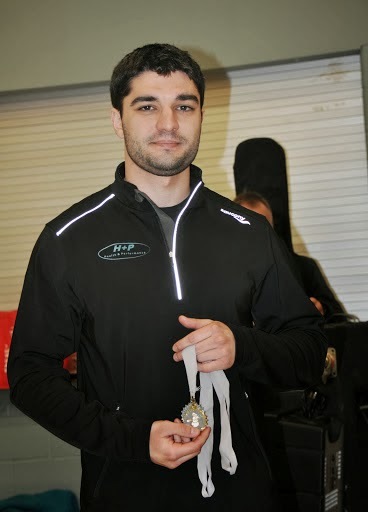 He placed 2nd on the team, was the first masters athlete, and placed 7th OA! Brendan showed lots of heart- a 2x winner of this event, he knew coming in that he was not even close to as fit as he has been in the past. He also puked during the race. Despite that, he never gave up, fought to the bitter end, and placed 3rd on the team and winning his AG. 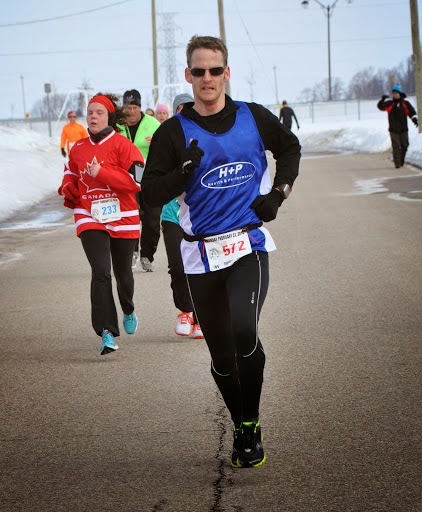 Coach Dyce also showed heart as he struggled with a significant illness the week leading up to the race. Despite the lack of training and not being 100% on race day, he still beat his time from last year, cracked the top 10 OA, and placed 2nd in his AG! Mike Piazza was next on the team. He really impressed, doing everything he could to chase down Dave. He took well over 2 minutes off his PB, and placed 3rd in his AG. 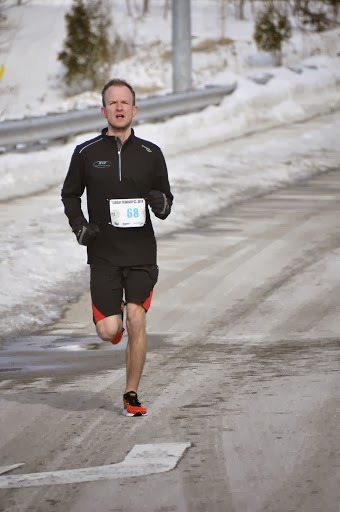 Graham Dunn, for some reason, decided that he should run something like 20K on top of what he was racing. No matter- he still came in with a time of 32minutes, placing him second out of all masters athletes. 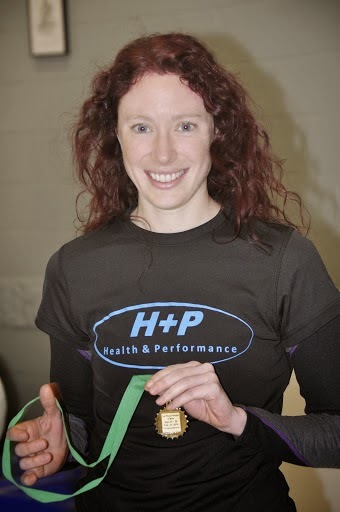 Vicki-Z was the first H+P female athlete to come in with another huge PB and winning her AG! Payton also came in with an awesome time just behind Vicki, and placed first in a very competitive AG! Candice and Ed both had awesome performances in their respective races despite missing training throughout the months leading up to the race. They both still cracked the top 10 in the AGs, way to go! And last but not least, Mark "can't commute to practice from Hamilton" Potvin, had a great race for the team- great to have you with us again Mark! Onward to another great year of racing! Up next for the team: The Chilly Half and Around the Bay! 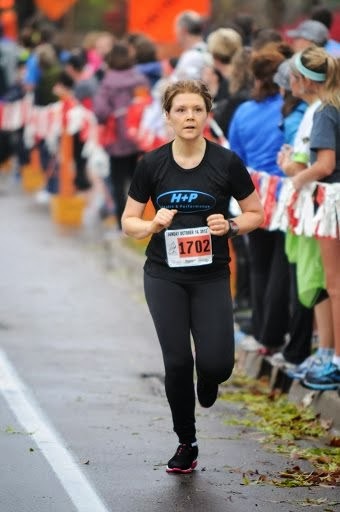 H+P: When did you first start getting into running? HB: I started running in the summer of 2007. 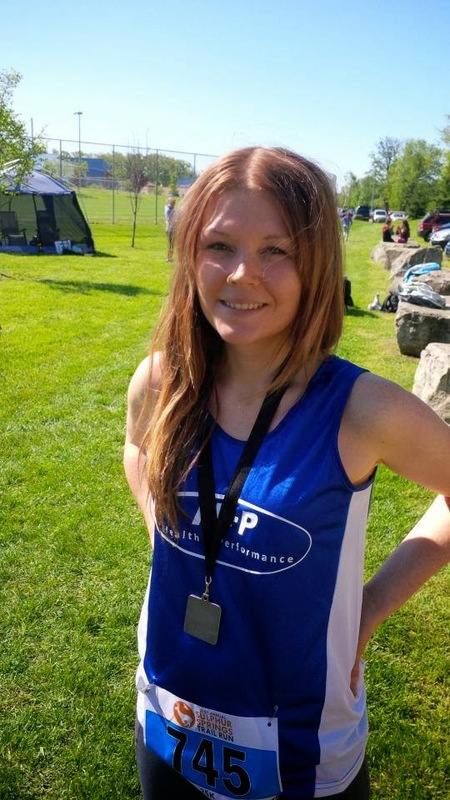 A friend of mine had just run a half marathon and convinced me that running was a fun thing to do. 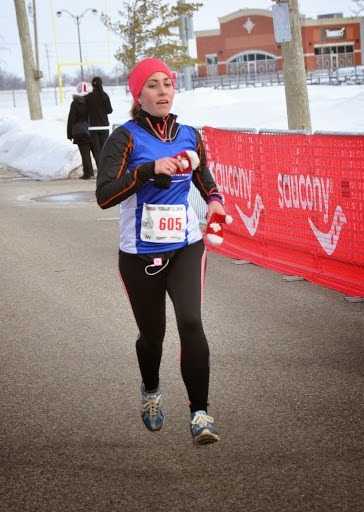 I joined a 10K group from The Running Room and ran my first race, The Oktoberfest Run, that fall. 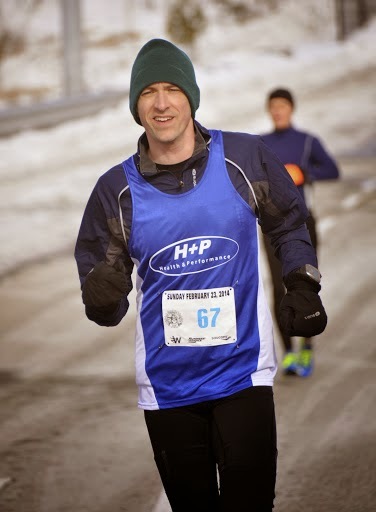 H+P: You are, by far, one of the most consistent H+P runners. It doesn't matter how early, or how cold a practice may be, you always show up. Where does this drive to train come from? HB: My drive is my love for all the H&P athletes!!!!! I think it’s also because I rely on running to ground myself. My days are pretty hectic, but if I make time to get a good workout in I’m more able to tackle the stress of the next day. I also feel there is a huge incentive to running with the group. I am way more likely to push myself when there are people cheering me on. I’ve seen a huge improvement in my speed these past 3 years and so that makes me more addicted to practice. 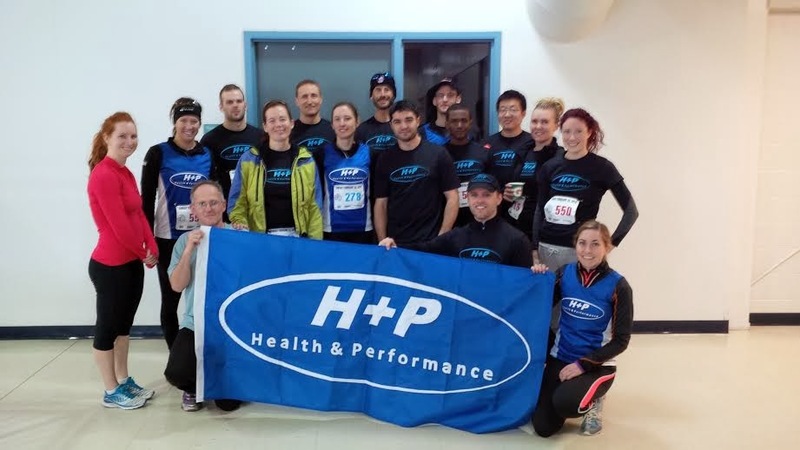 H+P: Since you started running, you have come a long way. What were your first runs like? How far were you able to go, what was the pace, and what did it feel like? HB: When I started training for my first race, I remember thinking 8K was a really long run. 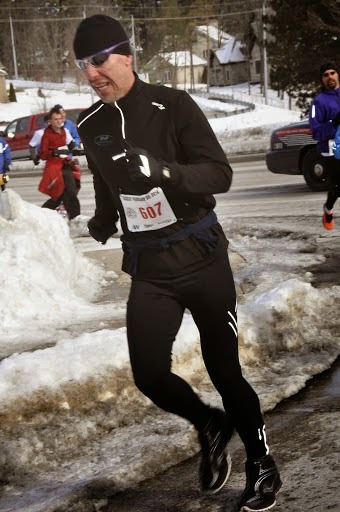 The first run I did, I wore flat tennis shoes, thinking all “running shoes” were the same. I ended up losing a layer of skin of the bottom of my foot and wasn’t able to run again for two weeks. But once I recovered and bought proper shoes I worked my way up to 12K over the course of a few months. My first 10K time was a little over 54 minutes. Since then I’ve worked myself down to running a 10K in about 48 minutes. H+P: Since that time, you have had an number of amazing performances. Which one are you most proud of? 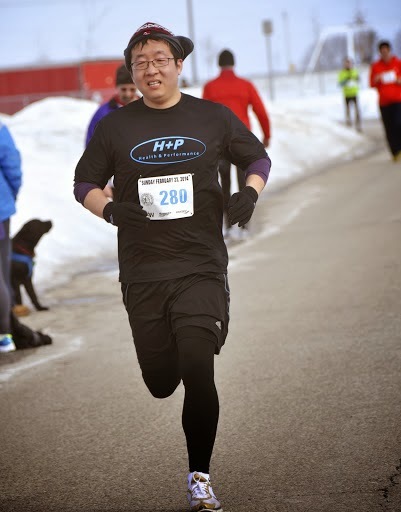 HB: Probably most proud of my Oktoberfest Run (Fall 2013), it was a PB by almost 2 minutes. H+P: You come across as a very polite, calm and soft spoken person..and yet you have this drive to keep pushing yourself and you never seem 100% satisfied with your performances! Are you secretly a super competitive person? 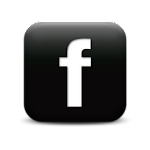 Have you been able to make sense of this seemingly contradictory nature of yours? HB: Well I’m definitely competitive with myself. I’m a bit addicted to improvement and can be pretty hard on myself at times. This can sometimes be a good thing but is also something I struggle with too. H+P: While it may surprise some (since you are so consistent with the club), you have faced a number of injuries and health issues over the last few years that really have kept you from performing at your best. Would you be willing to elaborate at all? What mistakes do you think you made, and what tips would you offer to other athletes? HB: I think the biggest mistake I made was treating the running/cycling training as the most important and really only component of training. Since childhood I’ve dealt with allergies that make my diet pretty restrictive at times, and I’ve never been a huge meat eater. This was never a problem with I was just running casually, but once I started training more consistently I became anemic. It took me a long time to discover that something was wrong, as I thought I was just tired from long days at school and the intensified exercise schedule. For about a year I struggled with getting my red blood cell count back into a normal range. 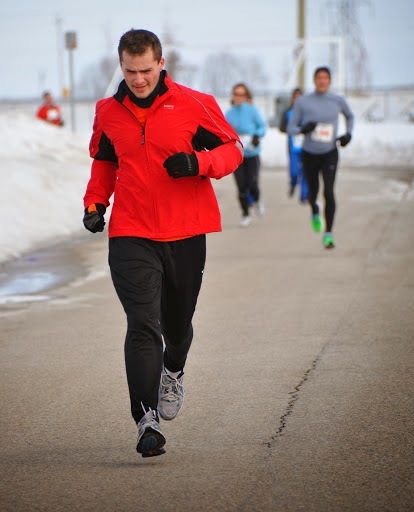 It was extremely frustrating to feel myself losing energy with each week and to see my pace slow, while at the same time putting in more hours running than I ever had. I have now made it a priority to eat the right kinds of food so that my workouts can be more effective. Although it may be so obvious to most, I have a much greater appreciation for the importance of eating right. I figure that since I spend so much time running, I should also find time to make sure I’m getting the right balance of carbs/protein/fat, and in particular red meat so that I can maintain a normal red blood cell count. I also continue to regularly get blood work done to insure I’m not slipping into anemia again. 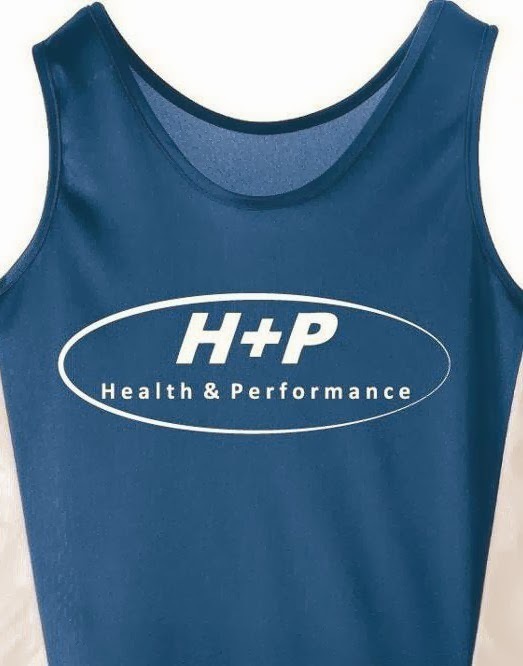 H+P: What do you like most about training with H+P? HB: I have met so many awesome people these past few years. Everyone has different running experiences and is at different levels but at the end of the day we’re all there to cheer each other on. It’s been amazing to see everyone get faster with each race! 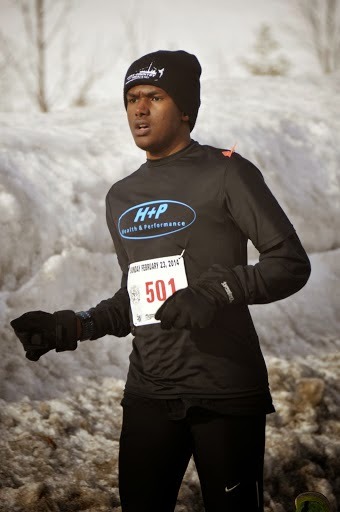 H+P: What are your goals for your running in 2014? HB: I’ve committed to running 30K Around the Bay, but my main goal is the Scotiabank Marathon this year. This will be my 3rd marathon and I’m hoping that it will be the one that convinces me that I like running 42K…we’ll see. I’d also like to run the Sulphur Springs Trail Run and maybe a few others.